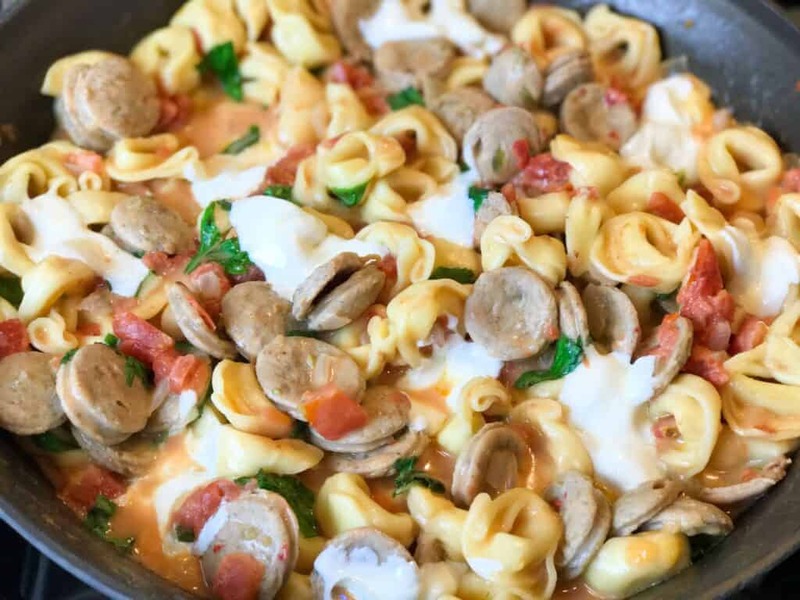 You’ll love this fast and Easy One Pot Tomato Basil Tortellini with Chicken Sausage recipe. From the fridge to the table in less than 30 minutes. This post is sponsored by Al Fresco. All opinions are my own. 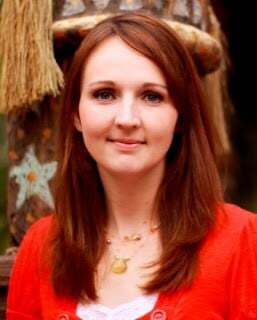 Fall is one of my favorite times of year, but it can also be a very overwhelming time of year. This is the time of year where my kids come home from school with a pile of homework. On top of having to do their homework, they have daily reading, scouts, sporting events and other school activities. It is in these moments that I find that family dinner and home cooked meals don’t happen as often as I would like. Since family meal time is so important to me, I often cook up some of my favorite go-to 30 minutes or less meals. 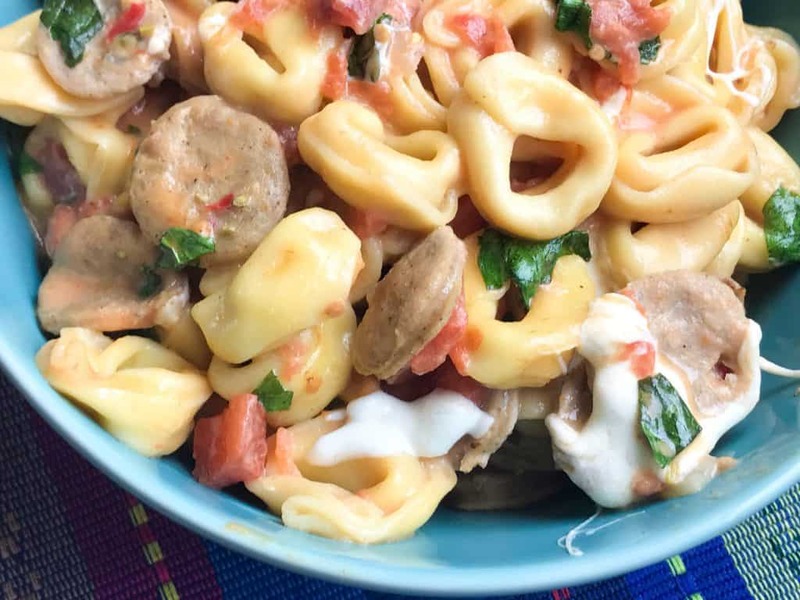 One of my kids favorites is our Easy One Pot Tomato Basil Tortellini. 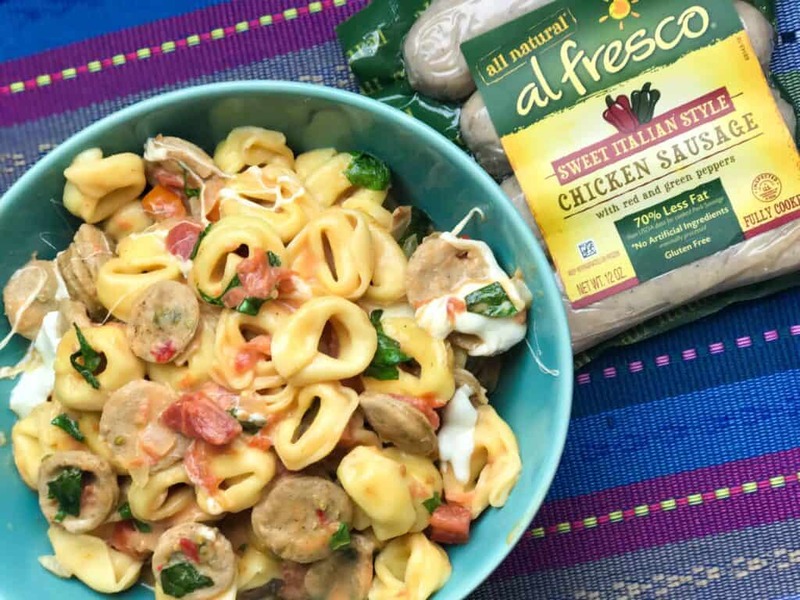 This recipe tastes great meatless, with chicken or using our favorite Sweet Italian Al Fresco chicken sausage. 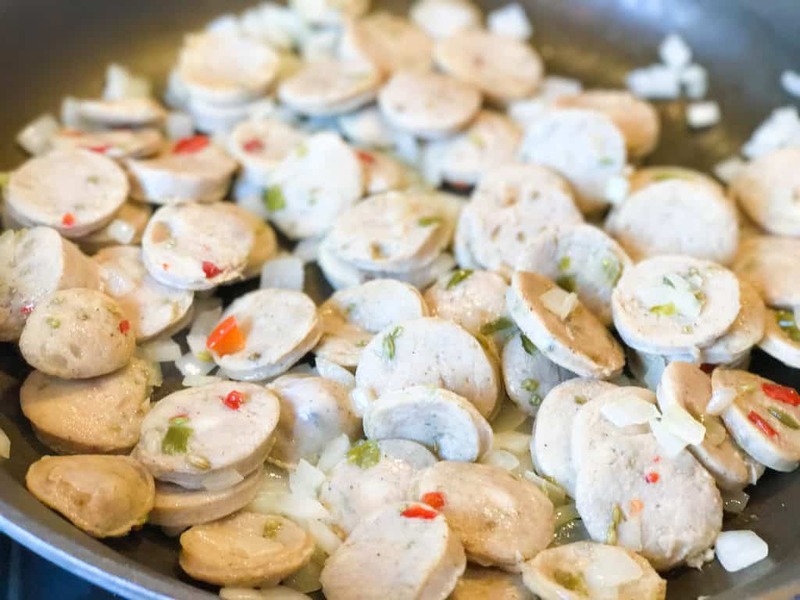 Al fresco chicken sausage is fully cooked, delicious and can be swapped for raw chicken for delicious and convenient recipes. This is definitely a time saver when making dinner. There are so many great flavors like Sweet Apple, Roasted Garlic, and Sweet & Smoky BBQ Chicken Sausage that add great flavor to a delicious 30 minute or less meal. The flavors of the Sweet Italian goes perfectly with our Tomato Basil Tortellini. Pre-heat skillet so it is hot when you start to add your ingredients. Spray youu skillet with non-stick cooking spray and Sauté onions and sliced Chicken sausage for 7 minutes. Both with start to taken on a beautiful golden brown color. 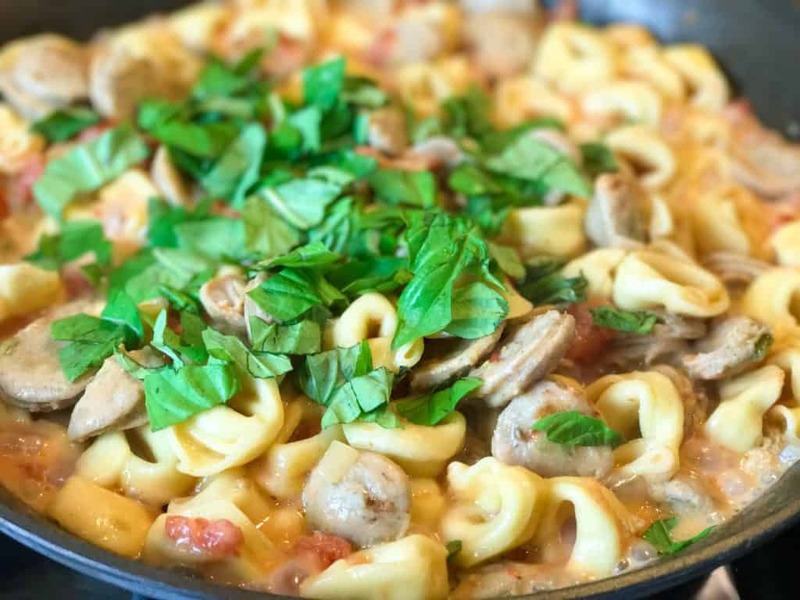 Add your heavy cream, diced tomatoes, tortellini and chicken stock directly into your skillet and mix together on high heat. Bring to boiling, reduce heat and cover. Simmer Tomato Basil Tortellini for 12 minutes. 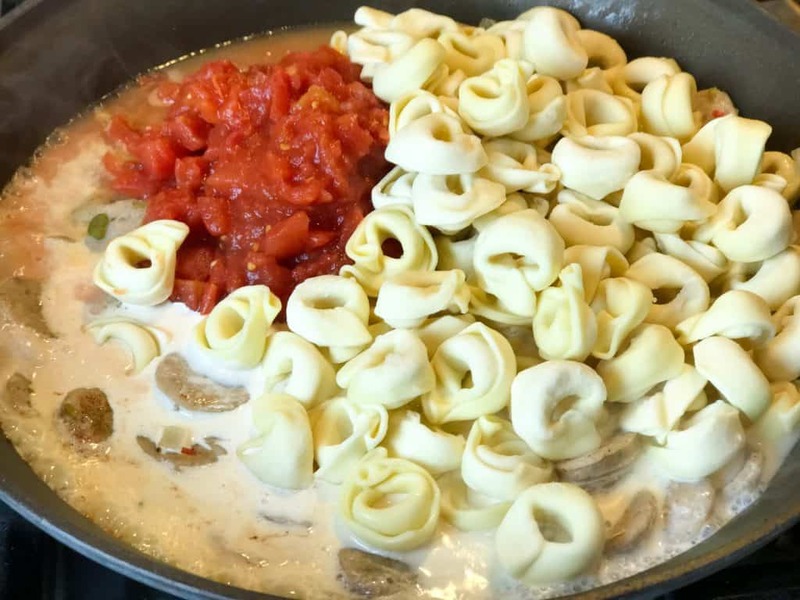 Tortellini will thicken up and sauce will thicken. Stir in basil and Mozzarella cheese until the cheese is melted. Close your eyes and take a moment to take in the amazing smells of your cooking because the spices of the Chicken Sausage mixed with the fresh basil is incredible. When the mozzarella cheese is melted, stir everything together and you are ready to serve. Less than 30 minutes and you have a delicious recipe ready to eat that your kids will be begging for more. 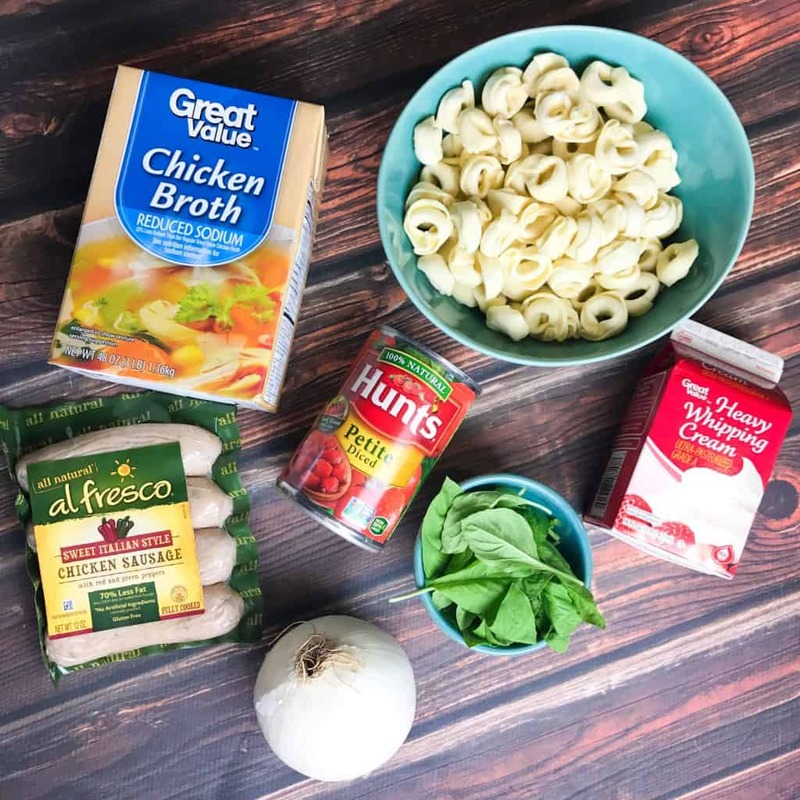 This delicious Easy One Pot Tomato Basil Tortellini with Chicken Sausage is full of flavor and a great meal for when the weather is starting to cool down and your schedule is starting to get a little busier. 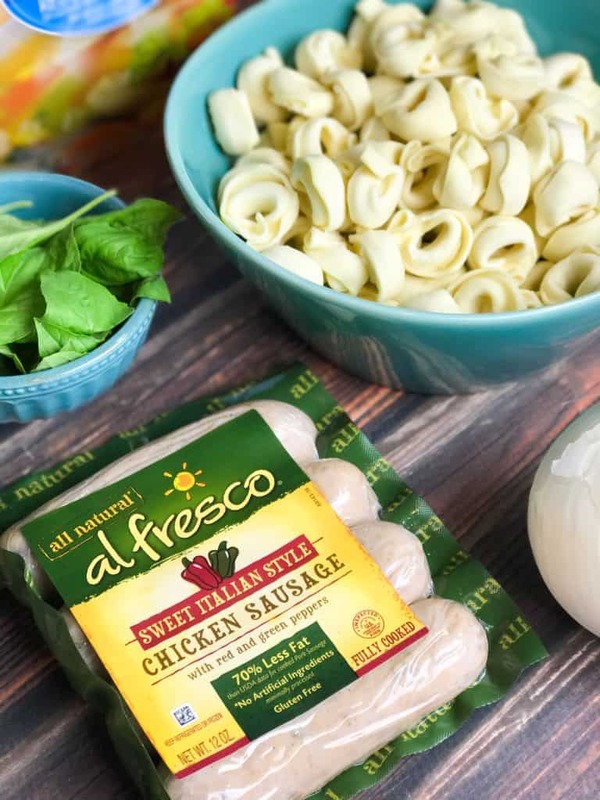 For recipes and to see the full selection of Al Fresco Chicken Sausage products, visit them online at http://alfrescoallnatural.com/.